Demetria Devonne "Demi" Lovato (born August 20, 1992) is an American actress and singer. She made her debut as a child actress in Barney & Friends. In 2008, she came to prominence as a starring cast member in the Disney Channel television film Camp Rock and signed a recording contract with Hollywood Records. Lovato released her debut studio album Don't Forget that September; it has since been certified gold by the Recording Industry Association of America (RIAA) for sales of over 530,000. In 2009, Lovato was commissioned her own television series, Sonny with a Chance. That July, her second studio album Here We Go Again became her first project to debut at number one on the U.S. Billboard 200; its title track became her first single to break the top 20 of the Billboard Hot 100 after reaching number 15. "Let It Go" is a song from Disney's 2013 animated feature film Frozen, whose music and lyrics were composed by Kristen Anderson-Lopez and Robert Lopez. The song presents the ostracized Queen Elsa, who abandons her kingdom when her magical ability to create and control ice or snow is discovered by the public. Up in the mountains, away from confused and suspicious onlookers, Elsa realizes that she no longer needs to hide her abilities, and declares herself free from the restrictions she has had to endure since childhood. She rejoices in finally being able to use her power without fear, without limits, to let it go, and manipulate snow and icicles to create a living snowman and generate a magnificent ice castle for herself. 1. A kingdom of isolation and it looks like I’m the queen. => Một vương quốc cô lập và có vẻ như tôi là Nữ Hoàng. 2. The wind is howling like this swirling storm inside. 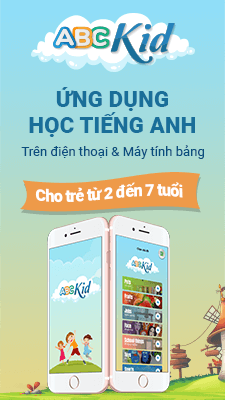 => Cơn gió gào thét như cơn lốc xoáy bên trong tôi.